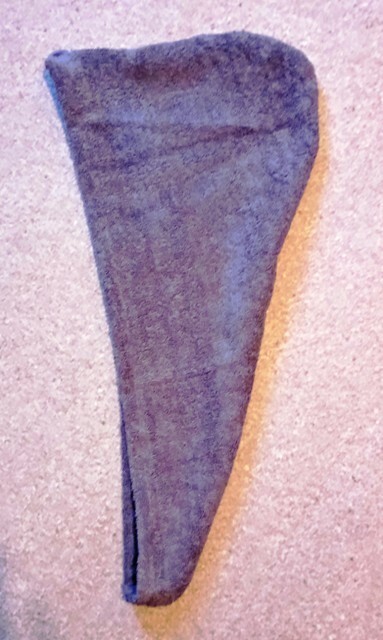 A hand made, very useful item, one of which I use all the time. 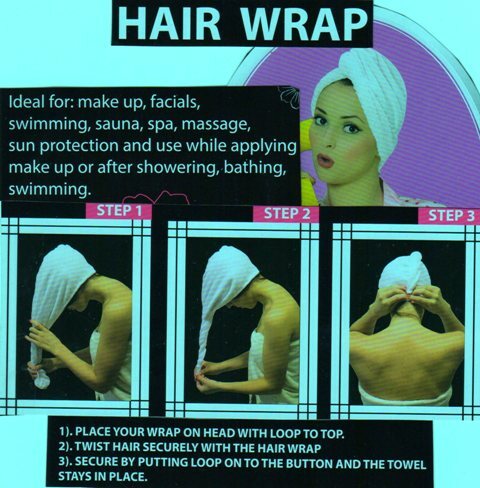 Great for coming out of the shower and wrapping around your hair, making it so much easier to get dried properly. Also useful when applying makeup, or having a facial, plus many other uses. 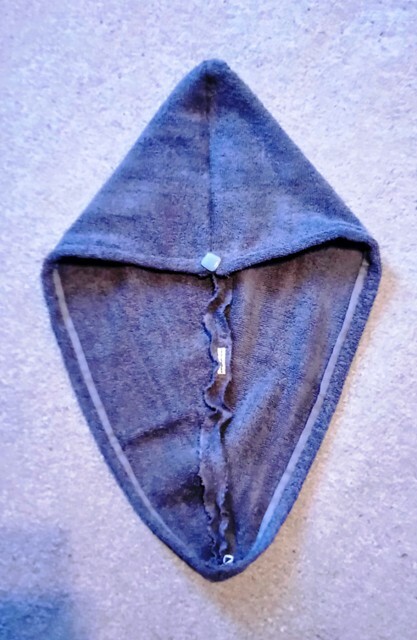 Made in a lovely soft, grey towelling fabric, being the popular colour at the moment and fastening with a button and elastic loop. Suitable for men, women and children.